Serving a population of more than 140,000, Cambridge Memorial Hospital (CMH) is undergoing an exciting Capital Redevelopment Project with anticipated significant expansion of services over the next few years. Included is an entirely new and expanded Emergency Department, as well as new Labour and Delivery, Intensive Care Unit, Mental Health facilities and surgical suites. This is further complemented by full diagnostic Laboratory and Imaging Support services, including a 64 slice CT Scanner with 24/7 Radiology coverage. Comprehensive medical and specialty support is also available in the community. We are looking for an Internist/Family Physician interested in doing hospitalist work for General Medicine and Oncology to join our team. The hospitalist would join our Accountable Care Unit (ACU), a team of 6 FTE’s on our acute medicine unit. This is an exciting new initiative that has been implemented at CMH, and includes bedside interdisciplinary rounding. The candidate would also join the Oncology Team part time. 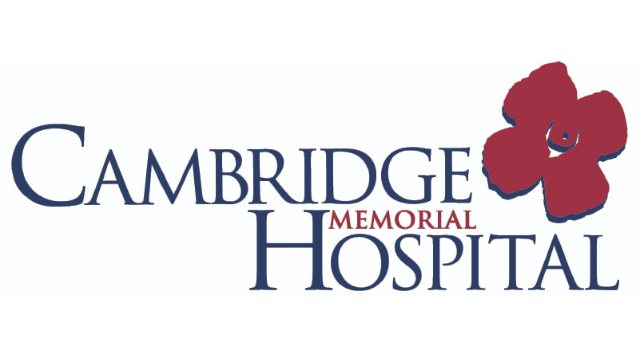 Cambridge Memorial Hospital’s Oncology Team is an extremely collegial group which consists of 2 Medical oncologists that provide support and back up to the hospitalist. The team prides itself on providing compassionate and consistent care to our cancer patients throughout the full course of their cancer experience. The GPO/Palliative team provides pre-chemotherapy, pain and symptom management and survivorship assessments in the outpatient department. They act as the most responsible physician for those patients admitted to hospital with complications of their cancer. This team also provides a palliative approach to care by encouraging early goals of care conversations to ensure goal concordant care. Some of the team members continue to follow patients at home providing end of life support. The successful candidate will have a FRCP, CCFP or equivalent and be licensed or eligible with the CPSO. The Cambridge Memorial Hospital facilities include a Bronchoscopy/Endoscopy Suite and Cardiopulmonary Lab. There is a very active ICU/CCU/Stepdown (9 beds) with a telemetry capacity of an additional 8 patients and a Hospitalist program for ongoing inpatient care. There is 24 hour access to Respiratory Therapists with arterial line and intubation skills. There is a COPD Clinic on site and access to Regional Cystic Fibrosis Clinic, Tuberculosis Clinic, inpatient and outpatient Pulmonary Rehabilitation Program. CMH is an affiliated teaching site of the McMaster University School of Medicine and a RNAO Best Practice Spotlight Organization. Participation in teaching and mentoring medical learners and residents is both an expectation and an opportunity. CMH is a 154 bed community hospital providing a range of acute care services located in the scenic City of Cambridge in southwestern Ontario with easy access to Toronto, Hamilton and London. The City of Cambridge provides a high standard of living with many attractive residential areas, excellent schools, convenient access to five major universities and many recreational and cultural activities. Our corporate vision of “Providing exceptional healthcare through exceptional people” illustrates our commitment to providing a lifelong learning environment for our workforce and excellence in patient care for the members of our community.